Should we say that we are tired of this thing? Every other time a new car comes up in this segment, its back to calling up the dealers and getting the cars to be arranged at our door steps or rather to our Thane office. Once again things have heated up in the mid size diesel segment. The new 2011 Ford Fiesta has been just unveiled and its just a matter of time before it is compared with the rest of its competition. Needless to say, a job is a job and such a wonderful job can only be enjoyed. So once the initial frenzy of getting in all the 5 cars into the office subsidized, it was back to driving and then analyzing which one fits the bill for being the new diesel king. Remember, the last time, it was this comparison (Hyundai Verna “Fluidic” CRDI vs Maruti SX4 DDiS vs Volkswagen Vento TDI vs Fiat Linea Multijet) and the Verna was crowned as the new diesel king. Does the Ford have in it to take on the likes of some of the biggest heavyweights in the automobile industry right now? Could the Ford be the new fuel efficiency king? Would it handle well like its predecessor and blow away the Verna in a straight line. Some things or rather soul searching that we went on and came away impressed with the results of the tests. Here are a few insights into what went on in the comparison test. Like the new stance where we have started letting the readers be their own judges, we have highlighted the good and bad points and the readers can well take in their own decisions based on the inputs provided. We are treading familiar grounds here and way too familiar. Instead of actually dissecting each of the design elements in these cars, its better to stick to discussing the new ones on the block and those happen to be the Verna and Fiesta. The latest Fiesta or rather the 2011 Ford Fiesta in India is a contemporary looker. The head lamps have a sharp cut image to them and the striking waistline as also the pronounced wheel arches ensure that these car stays as contemporary as can be. But then towards the C pillar, the rising window line does make the Ford feel a bit awkward. Viewed from the rear quarters, the car does look like it has gathered on some lard. For the Verna, it is more like being shedding its old skin and coming on with an entirely different look. Something akin to a caterpillar metamorphosing into a butterfly. All swoops and curves define it and there is not one angle from where it feels bad. Infact, it’s the only car here which comes with twin tail pipes. Out here, the Fiat Linea can be called as an Italian masterpiece. If you ever fantasized about owning a Maserati but don’t have enough cash for it and wouldn’t be having in the near future as well, then the Fiat Linea Multijet in India would be a very good option. The head lights have an eye-like effect for them and the entire design is balanced well. If at all, there is a car sold in India for its looks irrespective of how bad its service backup is, then it’s the Linea. 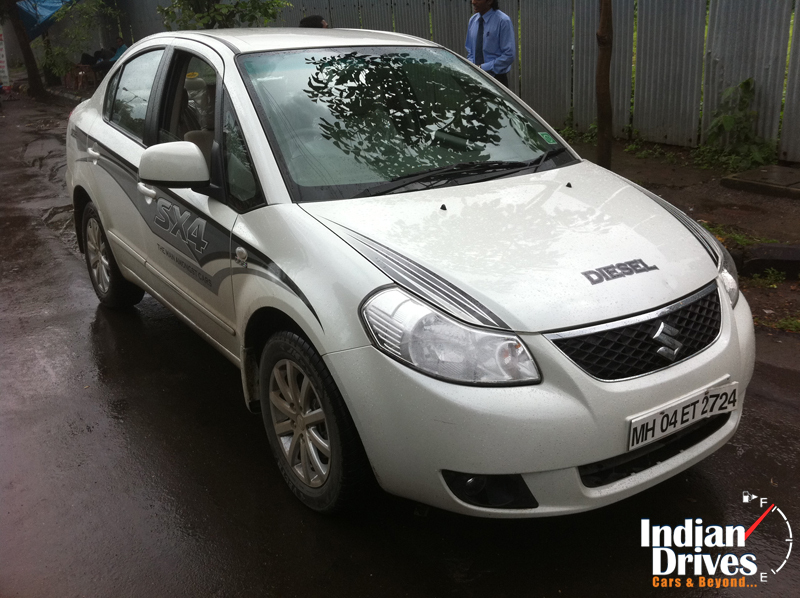 Though the Maruti SX4 diesel in India may be the oldest of all this cars, it definitely is there with this brigade. Its crossover stance gives it a lot of road presence. The 16 inch wheels here are the most unique and definitely help the car in clearing speed breakers easily without the driver having to brake. The wheels also fill the wheel arches properly and just near the front quarter glass, there is a kink which gives the entire design a beautiful touch. The Volkswagen Vento TDI in India is definitely one of the stately looking cars in this competition. Though the similarity with the Polo would always be there, we have always maintained that it doesn’t look like a boot add-on job. The best part is that all the modern day VW cars are being styled on the same theme and if at all the Vento looks like a small Passat or Jetta, then it’s a plus point for its owner, isn’t it? The 2011 Hyundai Verna in India definitely is a shocker from the Korean manufacturer. Due to its higher profile tyres, the SX4 sits taller than the other cars here and one has to rather sort of climb into its cabin. One gets a clear view of the road ahead in this sedan. Most of the shorter as also the taller ones in our team of correspondents preferred the SX4’s seating position than any other car. Ingress and egress isn’t a problem in this car. However on a winding road, the thick A-pillars did cause some obstruction in vision. There is no special element in the interiors and considering the plastic quality offered, it seems even more dismal. 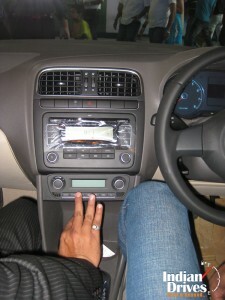 However, Maruti have offered just about appropriate equipment levels in the cabin. Seating arrangement is the only other brilliant thing in the cabin and there is no lack of head room or even leg room for front or rear seat passengers. The car with the least amount of equipment on offer happens to be the VW Vento. Forget equipment, it doesn’t even have steering mounted controls which all of the other cars here offer. There is no aux input for the music player and though it’s a VW, there is no sign of the soft touch plastics that the manufacturer is so known for. Seating for three is a decent affair at the rear and the front seat head rests do feel a bit big. The best part is that the front passenger seat can be slid forward by the rear seat passengers, something which none of the cars here seem to offer. As for features, the Fiat Linea also has an enviable list. The steering wheel, though a tad too close to the driver has got the necessary infotainment controls on it. Moreover, the Bluetooth connectivity feature is very easy to use and at a time, 5 phones can be paired. There are some ergonomic issues like the less head room in the rear due to the sloping roof and also an inconsistent quality of plastics used. The Hyundai Verna has by far the most beautifully laid out cabin and gosh, there is no dearth of features. Hyundai has added up a nice reverse camera along with the standard parking sensors. The front seats are well bolstered and so is the quality of plastics on the better side than the competition. The rear seats are a tad too low and soft. Longer journeys here be better avoided due to the less under thigh support. However, the excess of power goodies sometimes question the need for any human being inside the car. Its better if Hyundai could have thrown in a robotized chauffer at a premium. As for the newest arrival in the market, the Ford Fiesta played the waiting game well and now it comes into the market loaded with features. The Blue and Me feature in the Linea is easily overshadowed by the SYNC like feature offered by Ford here. Just like its exterior funky theme, the interiors too feel funky and real futuristic. However, the Ford’s cabin is not without its share of gripes. It has got the plastic quality wrong on this one and some of the lower end plastics feel a bit out of place in such an expensive car. The Fiesta has got good sports type seats in the front while the rear ones have got a good back support with less of the underthigh support thing. The only cars here to feature AC vents in the rear are the Linea and Vento. Mention must be made of the cruise control system which is present only on the Fiesta here. As for the boot space, the SX4 has the largest boot here at 505 liters with the Linea following it at 500 liters. The rest of the cars namely the VW Vento, Ford Fiesta and Hyundai Verna have boot space with the volumes as 454, 430 and 465 respectively. Rough roads are a welcome thing for the SX4 due to its soft suspension and tall ground clearance. Infact, if its more of the rough roads that you would encounter in your daily driving conditions, then it would be outright the SX4 for you. Though uneven roads do cause the pitching motion in this car, the overall ride quality is better than what is offered in the competition. The bubble gum tyres have a good grip on the road while cornering hard, but the tall center of gravity does play a spoil sport with body roll. However, its takes an experienced driver to handle derive the best driving pleasure out of this car. The brakes in the SX4 are also real sharp in their action. 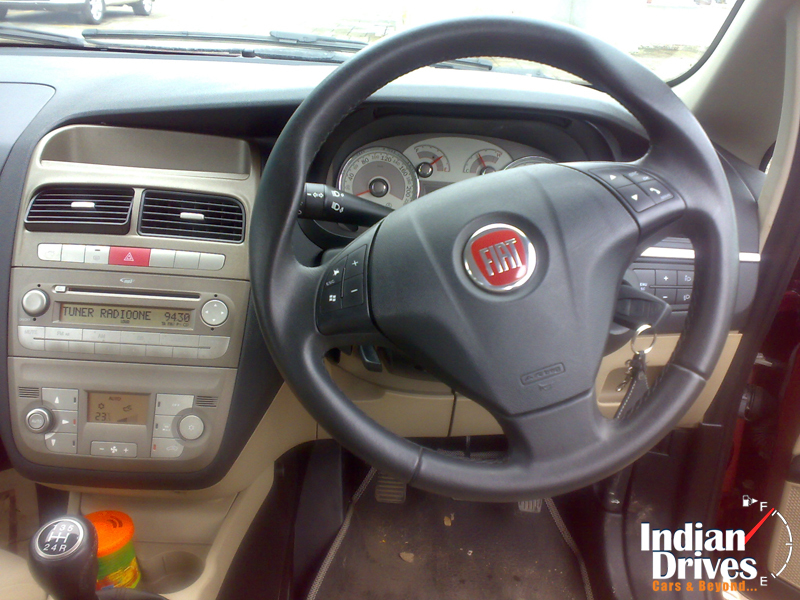 The Fiat Linea is the one which is the best bet as far as the ride and handling package in any car is concerned. At all speeds, the Linea exhibits a flat ride quality. Unlike the SX4’s electric steering, the Linea has got an hydraulic assisted one and this one has got more feel here than the others, if only one other car just about exceeds the steering feel. That other car is the Ford Fiesta. Though the earlier Fiesta set a new benchmark as far as the ride and handling is concerned, the newer one has put that level even more higher. Though it carries an electric power steering, the steering wheel carries a new “pull drift compensation” – a feature which counters the steering pull caused by the continuous changes in the road camber. The feedback from this steering wheel is exemplary and ride quality is not sacrificed at the altar of handling. The stiff body construction also allows the Fiesta to corner better than its competition and ground clearance is also not an issue here. The Verna loses out heavily in the driving dynamics department. It has got a soft suspension and this one really absorbs all the bumps that the Indian roads have to throw at it. At parking speeds, the finger tips is all what it needs to move the car around. The soft suspension shows its ugly side when the speeds are raised and sudden directional changes are demanded from the car. 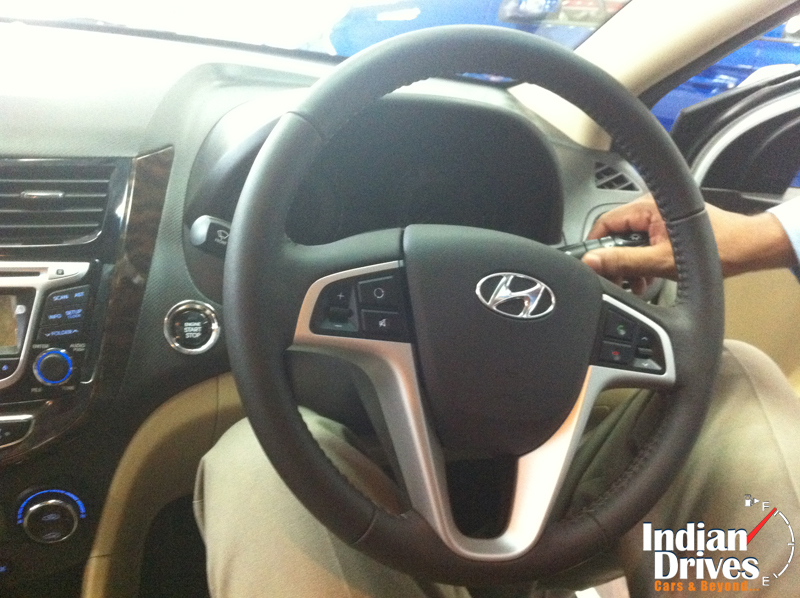 At higher speeds, the steering wheel requires many corrections and the handling is not at all for the weak hearted. As for the VW Vento, the suspension is on the softer side of things and on uneven surfaces, the car just pitches and bobs too much. European composure is missing in the Vento and the steering wheel is similar to that of the Verna and there is not much of feel from it. Handling is also mediocre and just like the SX4, it requires an established or experienced driver to reign in all the power. A note here. The Verna is the only to feature all wheel discs while the rest make do with drums at the rear. NVH is the lowest in the Fiesta while the Linea and Vento are the noisiest. The Vento displays its angry engine characteristics all too soon. Only two cars here feature the same engine and this happens to be the Fiat Linea and the Suzuki SX4. Out of the two, Maruti have done a better job in tweaking the engine and making the power delivery linear. The 1.3 liter engine with variable geometry turbo puts in 90 Bhp of power in both the cars. Vento’s 105 Bhp of power is not the range topping of the lot and needless to say, it is also the noisiest one in here. The Verna has got the biggest engine and its heartbeats can be measured to the tune of 126 Bhp. Though the Fiesta has got a big heart, there isn’t enough life in it and it can only pump in 88 Bhp of power. That saying, the Fiesta as also the Verna are the quietest diesel cars that we came across. Though the Linea has got a shorter gearing going for it, the car is anything but fast below 2200 rpm. That’s when the turbo kicks in and the car shorts forward with an urgency. Turbo kicks in faster in the Vento though at only 1800 rpm. The Vento delivers power in rapid bursts and this would be alarming for a new driver or in traffic conditions. The Verna is one of the linear power deliverers here and its 6 speed gearbox is also a delight to use. Throughout the rev range, we never felt the need for any extra power. The Ford Fiesta with its least power figures on paper, is however, a sprightly machine and power build up is also fairly smooth. The bragging rights for shooting off the starting line of course goes to the Hyundai Verna diesel. The gearbox of all the cars here feel smooth with the exception of the Linea. The Linea’s gearbox has got a rubbery feeling to it. The Fiesta uses its earlier gearbox and that is not something to complain about. Verna is the only one here using a 6 speed box. Anyone going in for a diesel car would be eventually think that they would be getting fuel economy in spades. Frankly speaking, none of the cars here disappointed on this count. Due to its taller 6th gear, the Verna returns overall fuel efficiency of 15.8 kmpl. The Fiesta due to its shorter effective gearing returns 15.6 kmpl overall. The VW Vento in the meanwhile turns in 15.2 kmpl while the Fiat Linea and Maruti SX4 make do with 15.2 and 15.1 kmpl respectively. So, if its lots of highway travel, then the Verna makes sense. As for safety, the Hyundai car hasn’t laggered behind. It offers 6 airbags and also ABS. The others offer ABS and twin airbags. So another point goes to the Hyundai in keeping up the safety aspect. Well, this section shouldn’t be actually here, since as discussed, we wouldn’t be giving out a verdict on which one to choose as the overall winner. However, the Hyundai Verna does rank high in our books as far as value for money goes. The 2011 Hyundai Verna diesel price in India is Rs 10.04 lakhs with the manual gearbox and SX(o) trim. When value for money proposition comes, the Ford also scores highly as do the Linea. The SX4 and also the Vento (specially) lose out on the value for money factor. There is not much equipment to play around with on both these cars though the Maruti steals one over the Vento by offering steering mounted controls and an aux input. 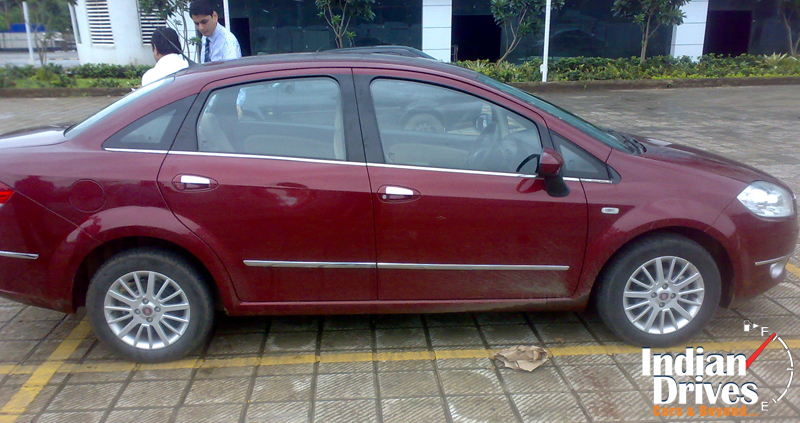 The Fiat Linea Multijet price in India is Rs 8.71 lakhs. This is for the top end Emotion Pack. The Volkswagen Vento TDI price in India is Rs 9.43 lakhs and this is for the Highline model. 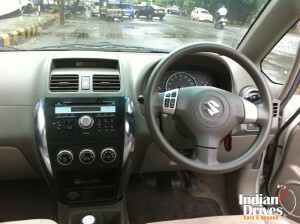 The Maruti SX4 diesel price in India is Rs 8.67 lakhs and this is for the ZDi variant without leather seats. The 2011 Ford Fiesta diesel price in India is Rs 10.42 lakhs and this is for the Titanium variant. All the cars featured here come with a 2 years warranty. The Fiesta and SX4 are the only ones which offer 1 lakh kms and 40k kms warranty while the rest offer unlimited kms warranty within the two years period. 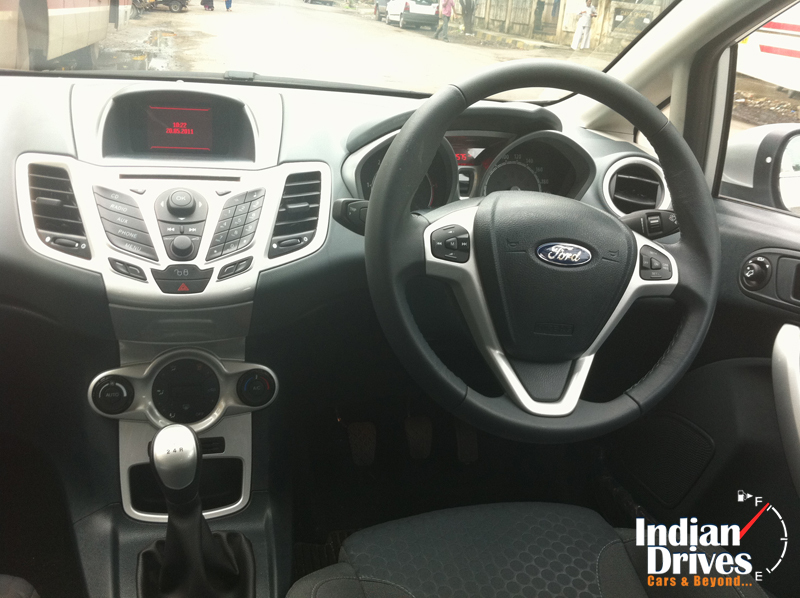 The Fiesta is available in only a 5 speed manual guise whereas Verna is offered with a 5,6 speed manual and 4 speed auto. SX4 is offered with a 5 speed manual and 4 speed auto. Vento is offered with a 5 speed manual and 6 speed auto. The Linea comes in only a 5 speed manual option. Oh well, for our question on whether the Verna has been dethroned from the pedestal of being the diesel king, then the answer is a big no. So feel free to choose your set of 4 wheels. Sorry to say this!! This comparison is not at all valid!! SX4 and Linea are not at all considered to be competitors for FORD new FIESTA. On my personal drive experience FORD NEW FIESTA engine performance and comfort is no way comparable to VERNA and VENTO. Ford is known for its Quality and its a legend. If one wishes to buy a best in class car, then FORD NEW FIESTA is the only car that fulfills the requirement. This is Ajith . i am a car racer by proffession .I do agree wid ramakrishnan , … Apart from power All new fiesta is Just awesome..
that doesnt mean that Fiesta is not powerful .. It is but when compared to Vento its little bit lacking ..but the interiors are just rocking in Fiesta .. Its really an awesome car..
Can you please mention in what ways it is the best or better than the others? I feel that it is unreasonably overpriced like last generation Jazz and facing the same fate. can anyone disagree with this after knowing the sales figures of Fiesta? i m planning 2 buy a fiat line emotion pk (the top end model petrol). but a little bit confused that i should go for it or not …have heard about the ac issues ..n lots of problems n after sales service .parts problem n all…the all new verna is costly for me thats why is out of the race..
i need a very good ,reliable no plans to change it for next 6 7 years,,all safety features lyk abs n ebd n comfortable car thats all are my requirements..
plzz any1 who could suggest me hws the car..?? as there are nt many linea’s on roads i guess..
should i go for it? ?what are its pros n cons..? we want to purchase one mid size Diesel car at my native place about 70km away from Mangalore, DK district of karnataka.The area is hilly terrain and the car has to travel in the villages also – mud road, needs high ground clearence and steep climbing . The models selected are Maruti SX4 / Volkswagen Vento / hyundai Verna / Ford Fiesta. kindly advise which car is best to purchase considering all aspects including fuel economy . I would highly appreciate from anyone who has bought the new Ford Fiesta Petrol version the following info. 1. How many Km have you used so far?